I remember Cuellar very well. He was the ace of the 1969 Baltimore Orioles pitching staff that faced off in Games 1* and 5 against my favorite team, the New York Mets. Do I really have to recall what happened in that World Series? Cuellar was dominating then. 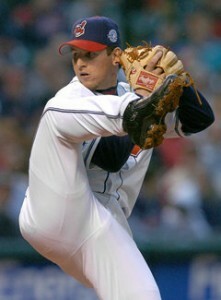 A left-handed screwball pitcher. He was tougher on righty batters than lefties, or at least Cuellar was in 1969. 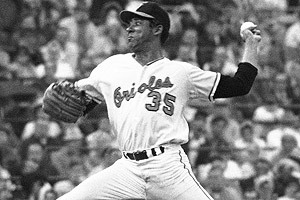 Cuellar was a mainstay of the Orioles pitching staffs from 1969 to 1974. He ended his Baltimore career with subpar years in 75 and 76 and apparently complained to manager Earl Weaver. Weaver replied “I gave Mike Cuellar more chances than my first wife.” Cuellar was a very good pitcher(but not strong enough for the who ended his career in 1977 with the California Angels and tallied 185 career victories. RIP. *- Cuellar made his first WS appearance in 1969. He was on the roster(along with NY Met Ron Taylor who also pitched in Game 1) of the 1964 World Champion St. Louis Cardinals. Cuellar didn’t appear in the post season that year. Mike Cuellar, a crafty left-hander from Cuba whose darting screwball made him a World Series champion and Cy Young Award winner with the Baltimore Orioles, died Friday. He was 72. The Orioles confirmed Cuellar’s death, but did not release other details. According to The Baltimore Sun, Cuellar died of stomach cancer at Orlando Regional Medical Center in Florida. 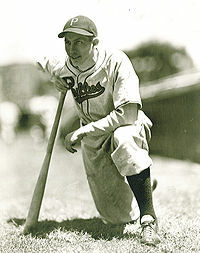 Cuellar made his major league debut in 1959 and bounced around Cincinnati, St. Louis and Houston for almost a decade before a trade sent him to Baltimore. Wearing the black-and-orange bird logo, he blossomed as part of one of the most imposing pitching staffs in baseball history — in 1971, he was among the Orioles’ four 20-game winners. 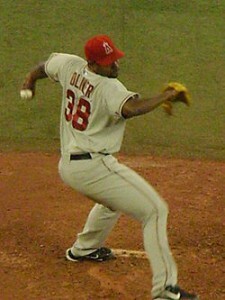 A four-time All-Star, Cuellar was 185-130 overall with a 3.14 ERA. He was voted into the Orioles’ Hall of Fame. Cuellar joined the Orioles in 1969, and that year became the first Baltimore pitcher to win the AL Cy Young Award, sharing the honor with Detroit’s Denny McLain. Cuellar went 23-11 with five shutouts that season, including a game in which he held Minnesota hitless until Cesar Tovar’s soft, leadoff single in the ninth inning. 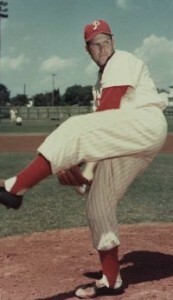 Cuellar helped pitch Baltimore to three straight World Series appearances from 1969 to 1971. He finished off that run by teaming with Jim Palmer, Dave McNally and Pat Dobson to become the only staff other than the 1920 Chicago White Sox with a quartet of 20-game winners. 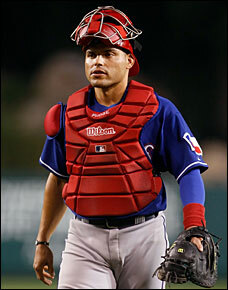 The Washington Nationals have agreed with former Texas Rangers catcher Ivan Rodriguez on a two-year deal, according to a club source. The deal is believed to be worth $6 million, and it gives Washington the veteran catcher who can both spell and mentor Jesus Flores that general manager Mike Rizzo said he’s been looking for. The move came shortly after the midnight deadline for free agents to accept arbitration offers. Rodriguez declined arbitration, instead landing a multi-year deal at the age of 38. What the Nationals will primarily be getting is experience; the future Hall of Famer has played nearly 2,400 major-league games and reached 14 All-Star Games. He has thrown out 46 percent of baserunners during his career. Washington has been searching for an insurance policy behind the plate with Flores trying to return from shoulder surgery. He also won rave reviews for his work with a young pitching staff in Detroit from 2004-08, and will be counted on to duplicate those efforts with the Nationals’ young arms, particularly top overall pick Stephen Strasburg. The Nationals goals of having Rodriguez tutor Flores and Strasburg are realistic. Pudge’s goal of playing 70 or more games next season, is more problematic. He is 38 and with almost 2,300 games under his belt. I don’t think he is capable of maintaining a heavy and productive workload but that’s my opinion.